When presented with the question "Who makes the best PC chassis? ", one in five HEXUS readers opted for Fractal Design. An admirable statistic for a firm that was founded a little over a decade ago, and it's easy to see why Fractal enclosures have won over many fans. Build quality is usually dependable, the feature set tends to be well-rounded, and if you're not one for gaudy, RGB-illuminated cases, you'll appreciate Fractal's more modest aesthetic. It's a formula that continues to work so it's no surprise to find that the Swedish manufacturer is keeping things familiar with its latest offering, the Fractal Design Define S2, priced at £137. Before we delve into the case itself, let's talk about that price tag. We're all having to get used to paying more for things, yet even so, £137 seems steep for a successor to the Define S that cost £65 when it launched back in April 2015. 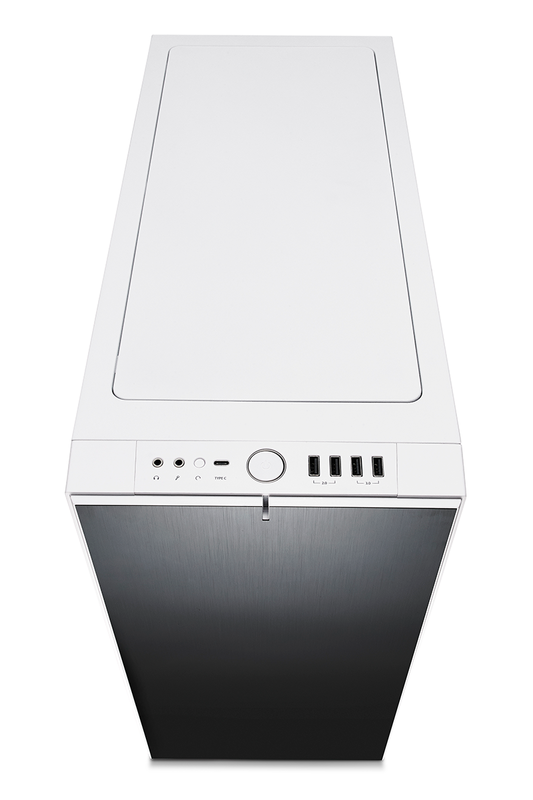 The S-Series was originally positioned as a more affordable alternative to the flagship R-Series, but the Define S2 doesn't conform to that line of thinking. An original Define R6 can now be found for around £110, and though an upgraded USB Type-C model will set you back £144, that's still only £7 more than the MSRP of the Define S2. Point is, this is more an alternative to the Define R6 than it is a follow-up to the Define S. Fans of Fractal's consistent design will no doubt appreciate the little LED notch at the top of the front panel, the familiar-looking I/O arrangement and the two-tone colour scheme, but having used a fair few Fractal cases over the years, and as a current owner of the Define R6, the design is starting to appear somewhat tired. It's not a bad-looking chassis, and as usual it's available in a choice of four colours - black (white highlights), white (black highlights), gunmetal or blackout - but it is essentially a tweak of an existing platform and we're eager to learn what Fractal could do with a complete refresh. Rather than attempt to reinvent the wheel, the Define S2 is essentially the Define R6 with a couple of features removed or modified. The elongated frame measures the same 543mm (L) x 233mm (W) x 465mm (H), giving it a widened appearance, but the reversible front door has been swapped for a fixed panel, the 5.25in optical bay has fallen by the wayside, and so too has the flexible six-bay storage column. 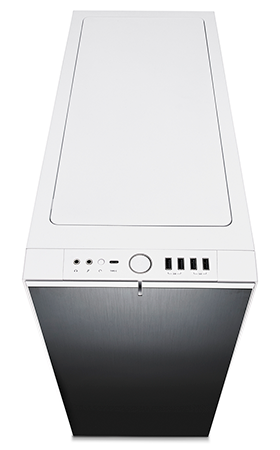 It's an interesting evolution as the resulting case better suits enthusiasts who favour high-end liquid cooling over a multitude of storage options, and despite the loss of certain features, the Define S2 retains everything else that was good about the Define R6. 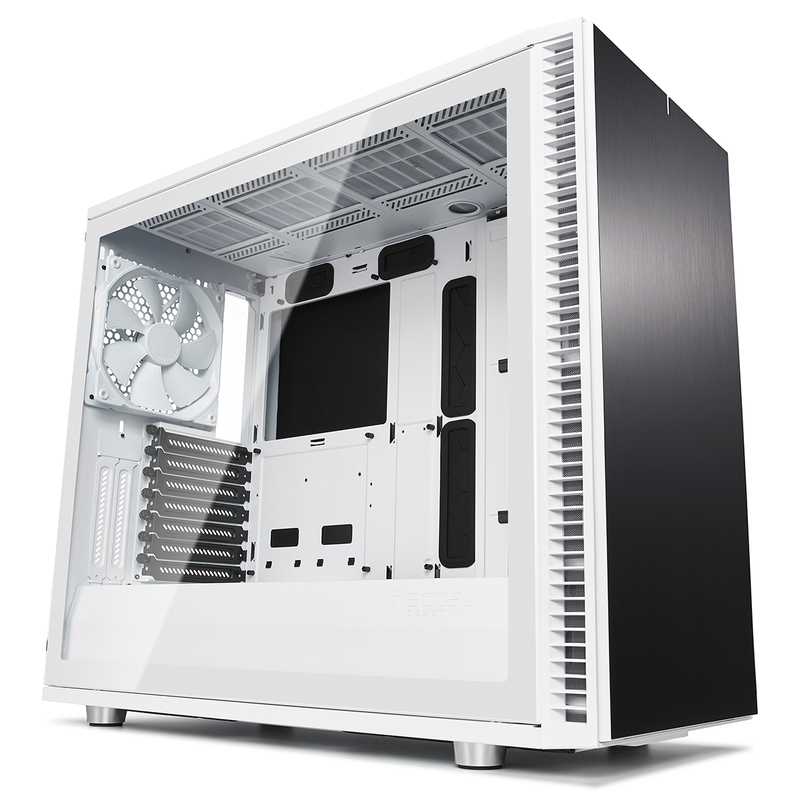 Build quality, as you'd expect, is of a high standard throughout, with Fractal using an effective combination of steel frame, aluminium front and tempered glass side panel. Do note that the glass is tinted on all models save for white, whose clear glass is an interesting option for those who want every nook and cranny to be visible. In keeping with the latest revision of the Define R6, the I/O ports lining the top of the box continue to offer everything a modern chassis should, namely a large backlit power button, a small reset button, two audio jacks, two USB 2.0, two USB 3.0 and last but not least, USB 3.1 Gen 2 Type-C. We're always asking for Type-C to be featured on more chassis, yet when the resulting price tag goes up we manage to take umbrage. The irony isn't lost on us. 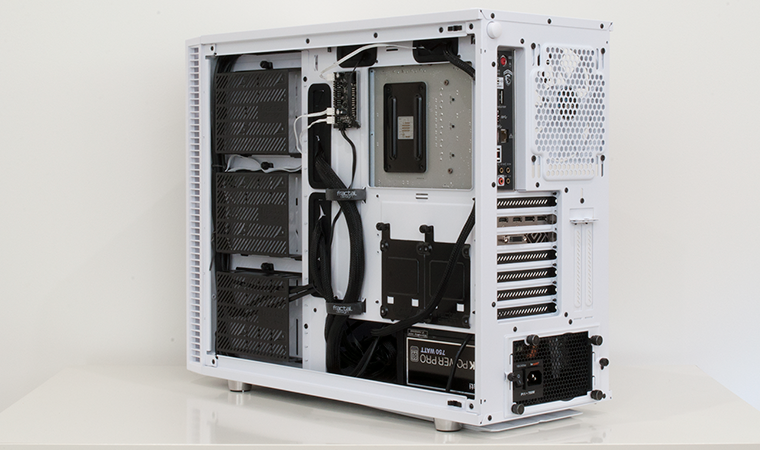 On the inside, the full-length PSU shroud remains intact, and continues to offer a removable section to allow for a large radiator up front. 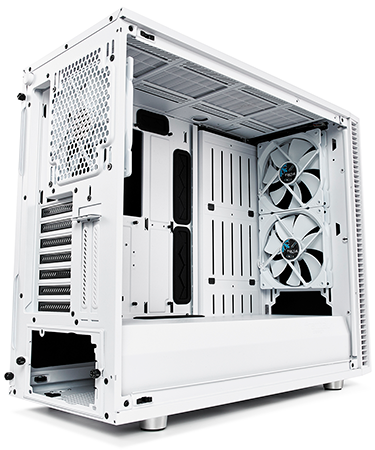 Speaking of which, the Define S2 offers a total of nine 120/140 fan mounts; three up top, three in the front, two at the bottom, and another at the back. 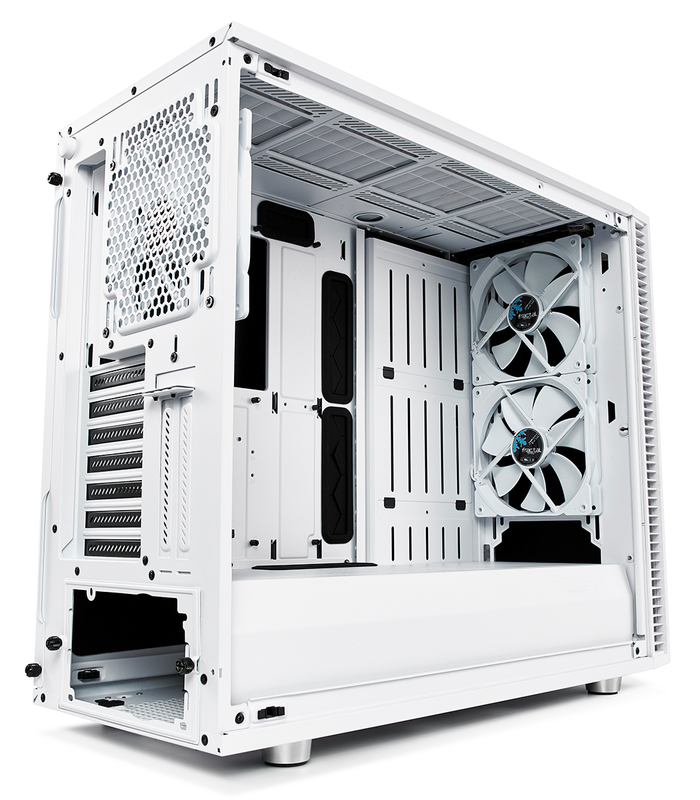 Two front mounts and the single rear mount are pre-populated with 140mm Dynamic X2 three-pin fans, and if you prefer to cool using liquid, you'll find adjustable reservoir brackets as well as room for up to a 420 rad up top, up to a 360 in the front, and up to a 280 on the floor. You aren't short of options, that's for sure. 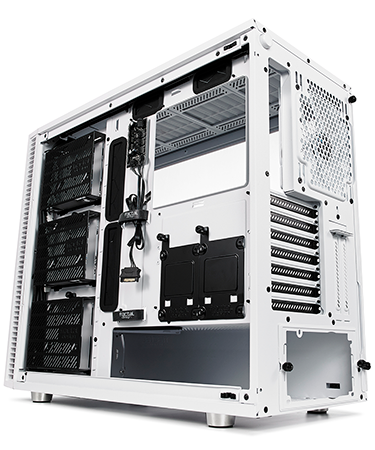 In order to open-up the interior for elaborate cooling loops, Fractal has simplified the hard-disk mounting options to a trio of tool-free metal trays that attach to the rear of where the storage column would normally be. The individual cages work just fine, and we like the fact that a three-way SATA extension cable is included as part of the bundle, plus having the drives located back here means that storage isn't sacrificed if you choose to install a huge radiator and/or reservoir in the front. If you're using SSDs, you'll find a pair of 2.5in sleds on the back of the motherboard tray, and if you insist on showing off your hardware, these can be relocated to the top of the PSU shroud if you prefer. 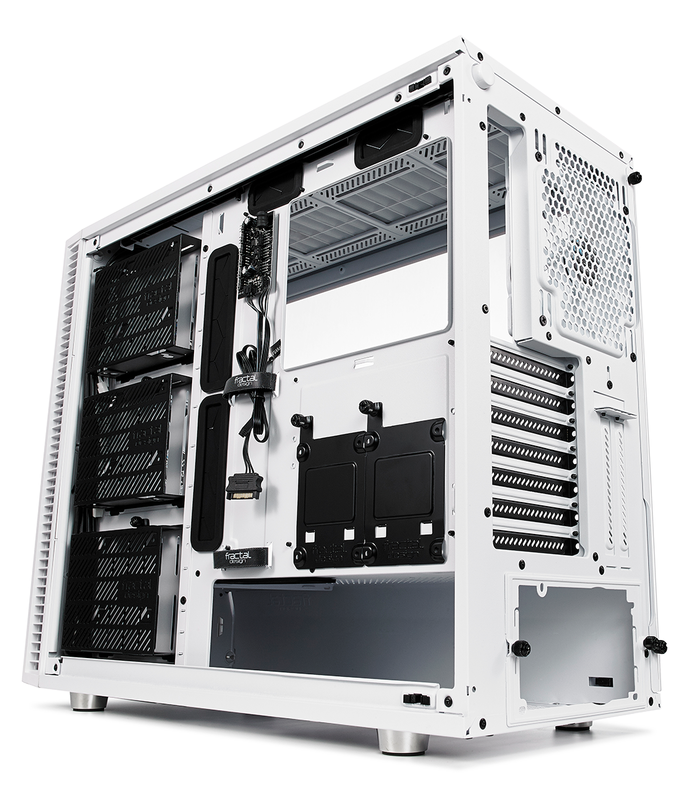 Supported motherboard form factors include Mini-ITX, Micro-ATX, ATX and E-ATX (up to 285mm), and the 7+2 expansion slot arrangement allows for a vertical graphics card. Do note, however, that Fractal's own Flex VRC-25 PCIe riser card is an optional extra. 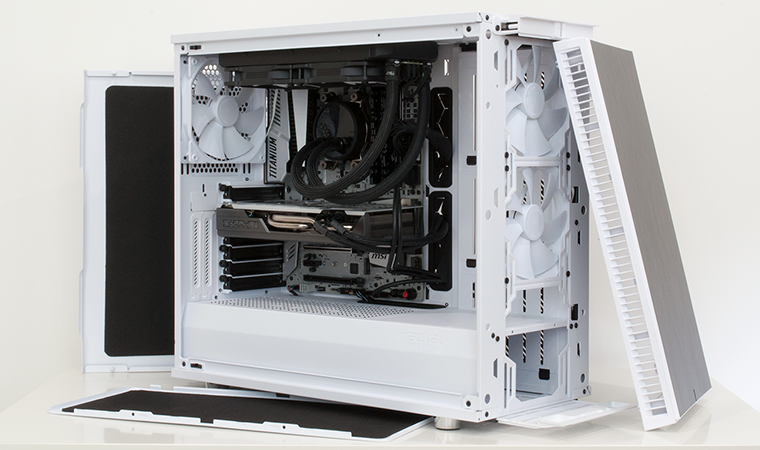 There's ample scope for an enthusiast build, and there are plenty of nice touches to help along the way. 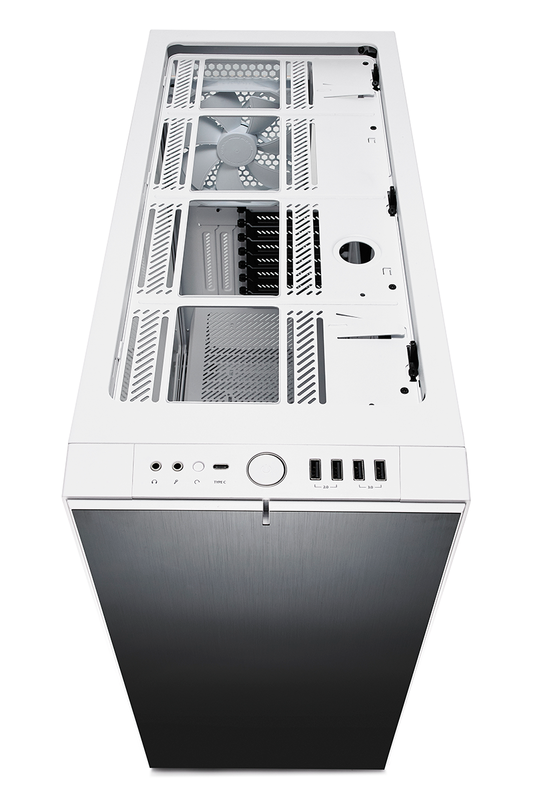 The front panel pulls away easily, the ModuVent top cover can be configured for quieter operation or maximum airflow, the top cooling bracket is removable to allow simple radiator mounting prior to installation, the sides, top and front are lined with sound-absorbing material, and as was the case with Define R6, there's a Nexus+ fan hub included as standard. Powered by SATA, the hub supports half-a-dozen three-pin fans as well as a trio of four-pin, and regulates speed from a single PWM header on the motherboard. 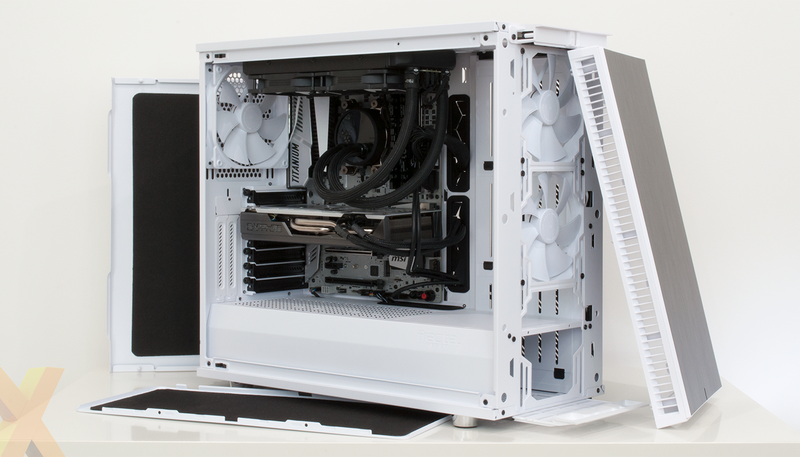 Our build has slotted in with ease, but the white colour option really isn't tickling our fancy; it's too stark alongside the black highlights and has the unwanted ability of making the case appear cheaper than it actually is. We'd much prefer the gunmetal or blackout variants, but whichever colour you go for, expect a relatively simple build process. We're fond of the way Fractal's hinged glass panel pops into pace securely - you don't even need to attach the thumb screws unless you're travelling - and cable management is aided by plenty of tie-down points and a couple of Velcro straps. The only niggle is that the front-panel cables, particularly the USB Type-C, are a little short and needed to be traversed through the HDD cages in order to reach our motherboard headers. All things considered, we'd like to see the Define S2 target a more aggressive retail price point in order to stand out alongside its Define R6 sibling, but let's run through the benchmarks before coming to a conclusion.